This post is a sequel to my original entry regarding the 4S family. Since then I have obtained several watches with different variations of the 4S movement and have continued to be impressed with the variety of complications offered in the 4S family which far surpasses any movement that Seiko produced to date. 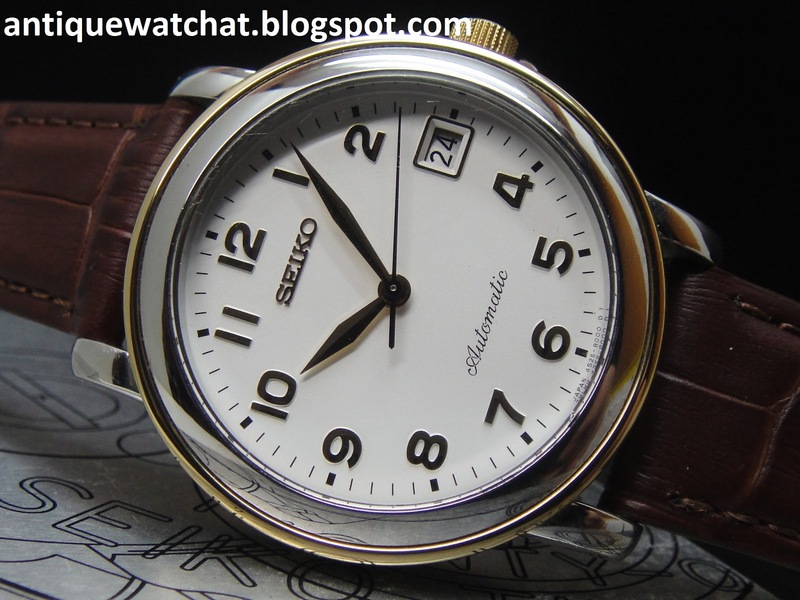 In this post, I’ll attempt to give a breakdown of the differences between the different 4S movements and also the defining Seiko model(s) that contains the particular movement. All pictures are taken from internet sources and might also contain pictures that belong to me. Please click on the image below for a larger picture. The 4S15 is the basic movement from which all the other variants are derived from. It is 4.17mm thick, with a casing diameter of 25.6mm and outside diameter of 26.0mm. It beats at 28,800 bph, with a power reserve of 40 hours. This is upped to 50 hours for certain variants. 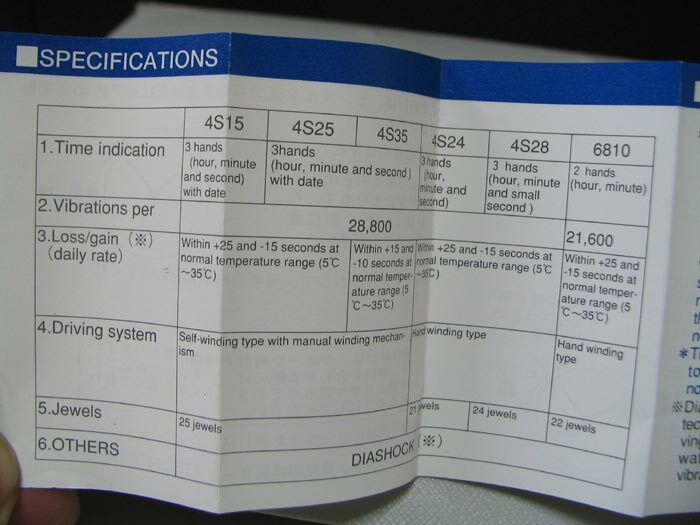 It is regulated to +25/-15 seconds a day. 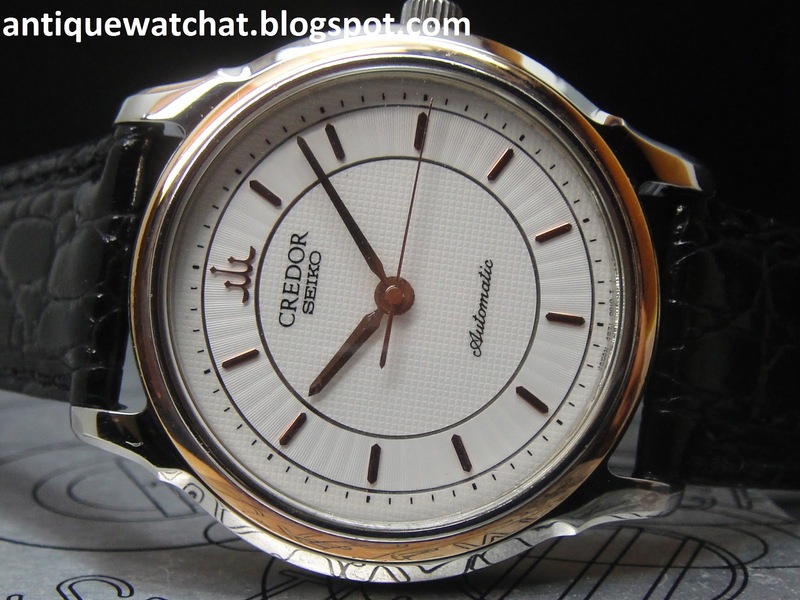 It has 25 jewels and comes with automatic winding with an auxiliary hand winding mechanism. It comes with a date only calendar and hacking seconds. It has a micro-regulating pin (in other words the balance wheel is not free sprung). 4S25 appears to have exactly the same specifications as the 4S15, and I am unable to find out why a different caliber number is used. 4S35 is tighter spec to +15/-10 seconds a day. This is equivalent to the 8L35 and above accuracy. 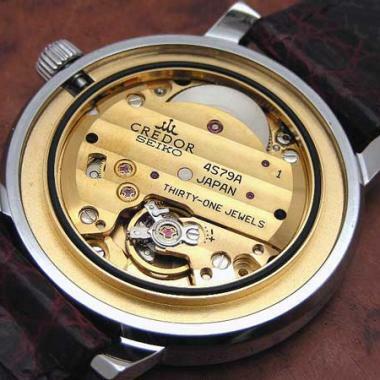 Surprisingly, the 4S25 and 4S35 movements are only used in watches in the early 1990s, whereas the 4S15 can be found in watches all the way until the early 2000s. 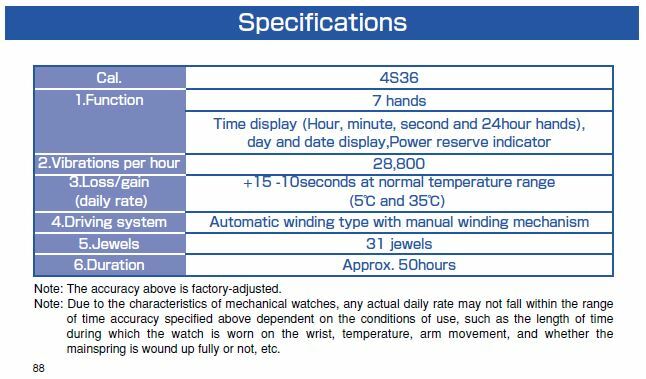 As such, I can safely say that the 4S35 watches are rarer and also more valuable due to their better regulation. 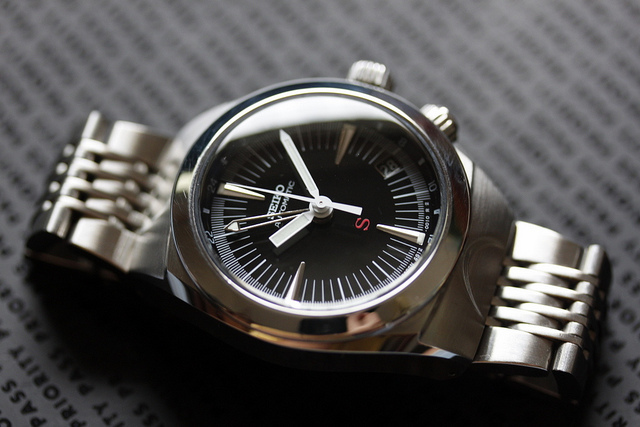 An excellent write up of the the SUS Seiko write up can be found here. This is also basically the watch that introduced Seiya to the world of international watch collectors. 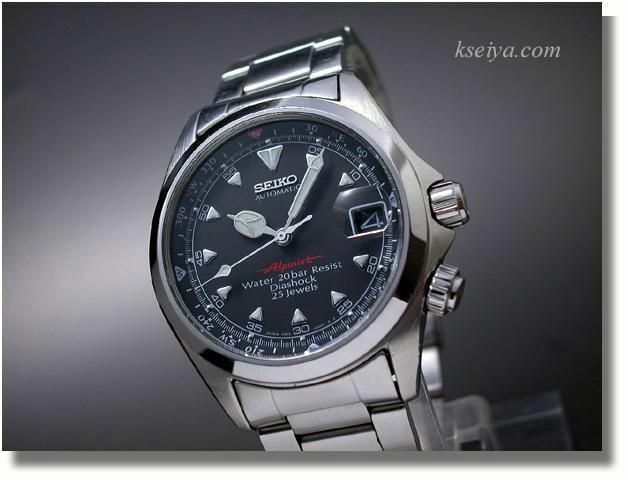 It is also likely the watch that introduced JDM Seikos to the rest of the world and made them realised that Seiko is much more than just a low cost, high variety producer of quartz watches. 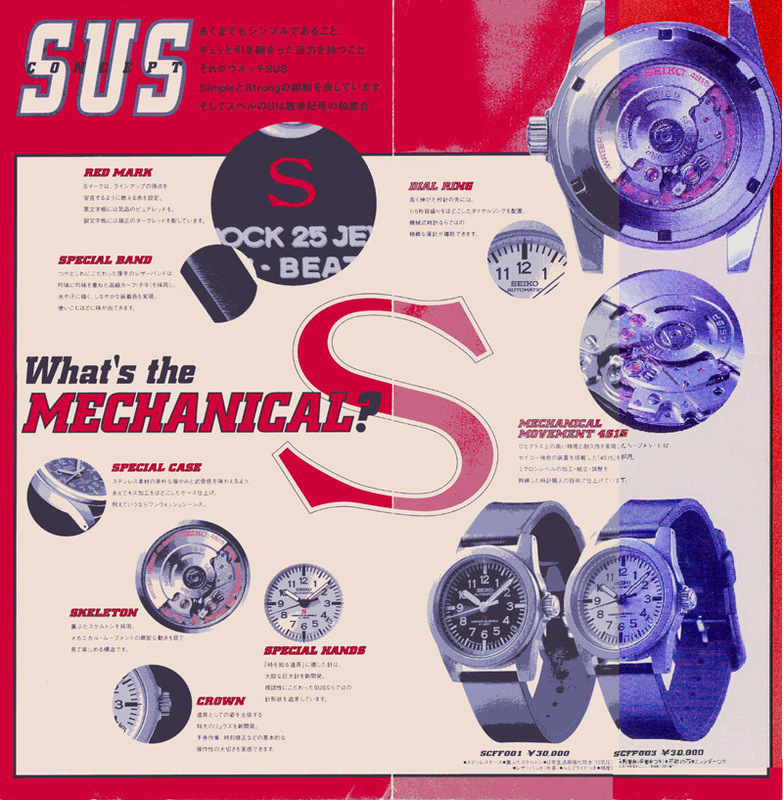 I highly encourage the readers to read the link above to understand the design philosophy behind the SUS range of watches. 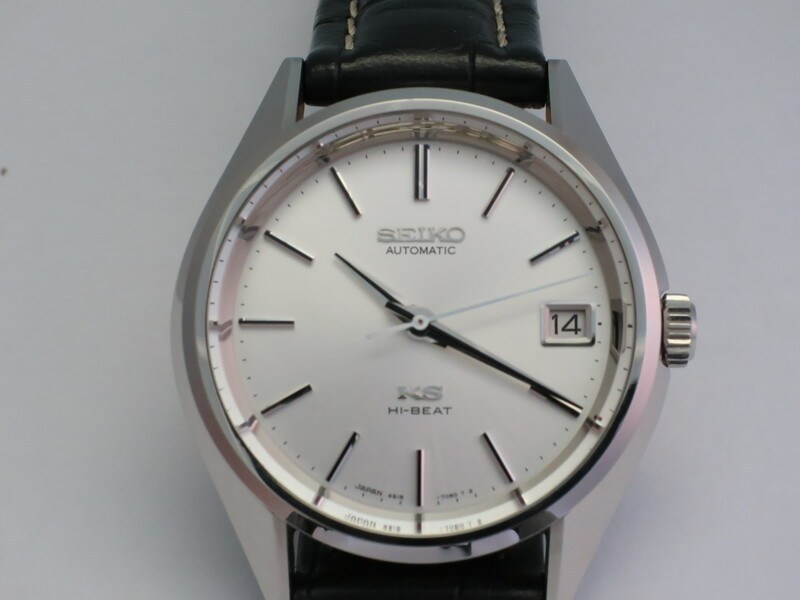 Another popular model containing the 4S15 movement is the King Seiko (SCVN001) reissued under the Historical Collection the Year 2000. I have written about it previously here. 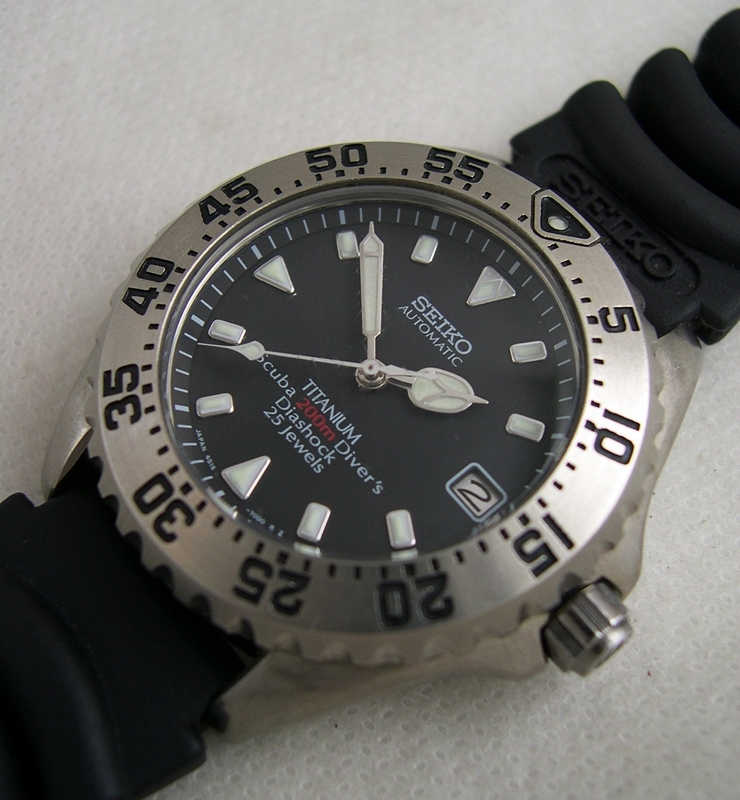 Another popular watch is the monocoque 4S15 titanium diver SCVF001. These are also rarely seen on the market. 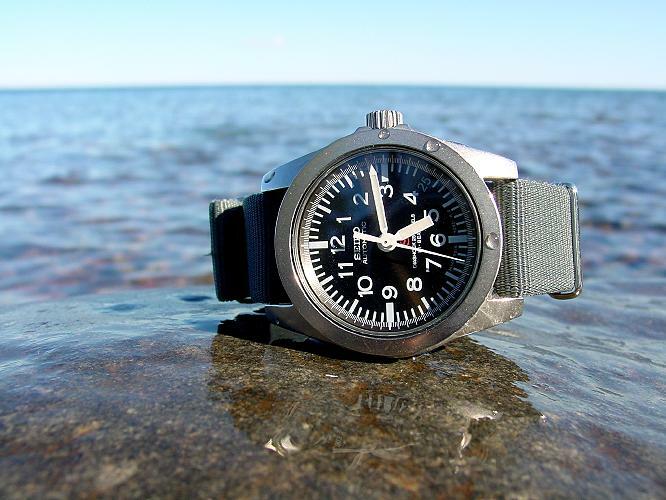 Other than being found in diving watches, the 4S15 is also found in the famous Alpinist range of watches. 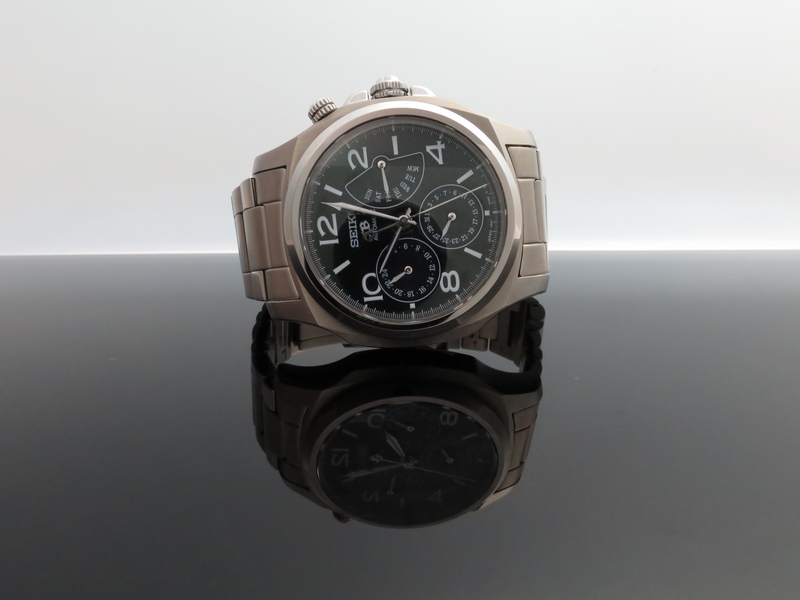 Due to the scarcity of the 4S25 and 4S35 watches, there is no one defining model. I have included some internet pictures that depict some models which contain these movements. This is the first 4s movement containing a GMT hand. However, its is not a “true” GMT. This is because the GMT hand is non-independent from the main hour hand. In other words, it shows the 24 hr time, and is not independently adjustable to show a different time. There are at least 2 designs I am aware of that contain this movement, but the more popular one is the one with the internal bezel. This is one of the rare models which I have yet to see in person. This is also one of the rare handwinding only movement. This comes with a center seconds hand. 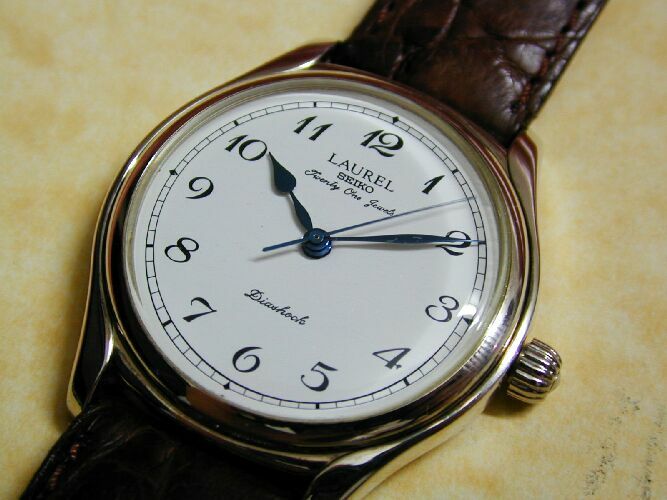 Given its scarity, I would also not say there is any one defining model, however my personal favourite is a 1990s Laurel reissue, complete with enamel dial, heat blued hands and sterling silver case! 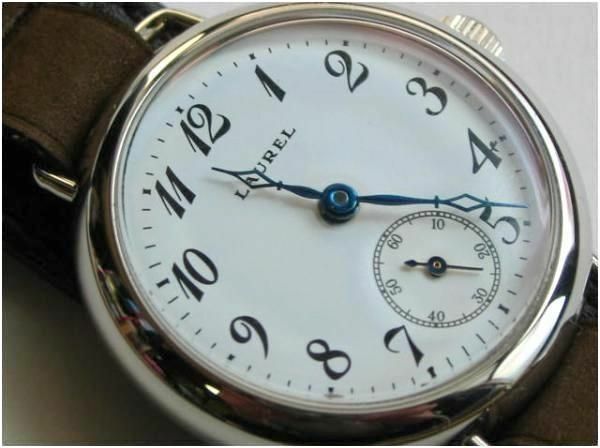 This is another hand winding only model, but with a subsidiary seconds dial, resulting in a very very clean and classic design. Some of reissue Laurels in the 1990s contain this movement, but the defining watch with this movement has to be the Laurel reissued under the Seiko Historical Collection the Year 2000. This is a faithful reproduction to the original with 13mm fixed lugs and 32mm diameter. 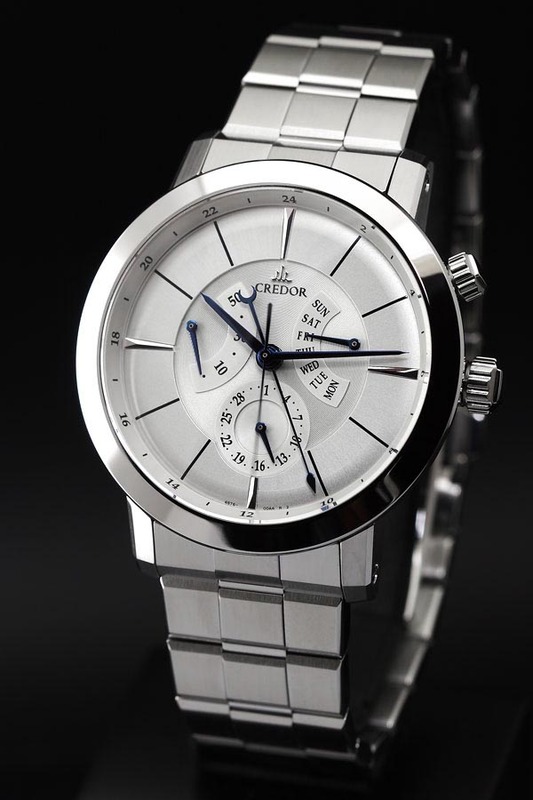 It also comes with heat blued hands and enamel dial. This movement is something of an enigma to me, and it might very well have been a better decorated 4S35 movement given its same accuracy specifications. 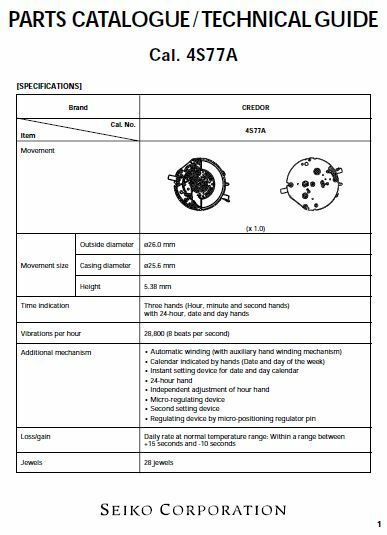 This movement, alongside all movements labelled 4S7x, is found only in the Credor range of watches. These are handwinding only movements with a power reserve found at the 9 o’clock position. 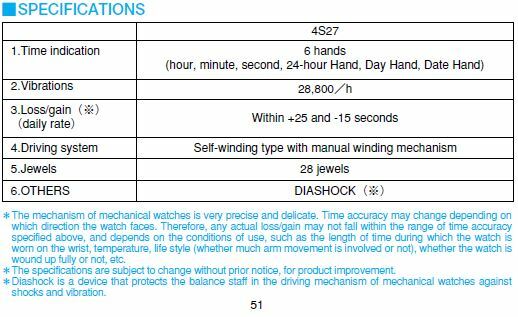 Both movements are identical in appearance, but the 4S79 movement has a better accuracy specification to +15/-10 sec a day. Interestingly enough, the 4S79 also has 2 jewels more than the pedestrian 4S29 movement (31 jewels vs 29 jewels). 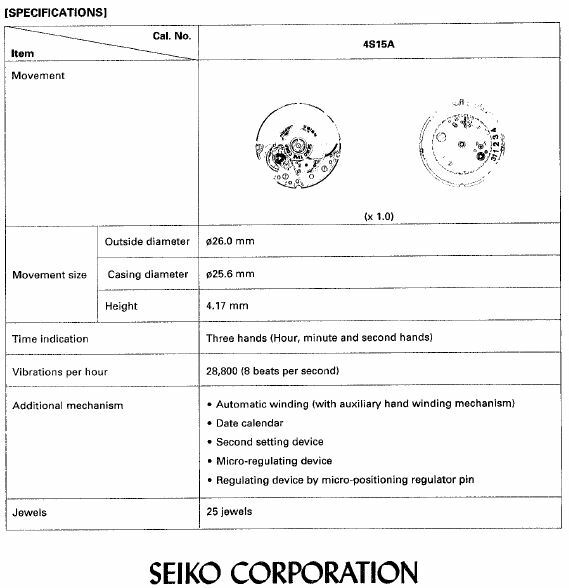 This increase in jewel count is not found anywhere else where Seiko upped the 4S movement in order to fit them into Credor watches. These 2 additional jewels might be due to the fact that the 4S79 is capable of being chronometer certified. The defining watch for the 4S79 has to be the very rare GZAY999 which was only produced in a series of 20 pieces in white gold. The defining 4S29 watch to me is the Brightz SAGN005. 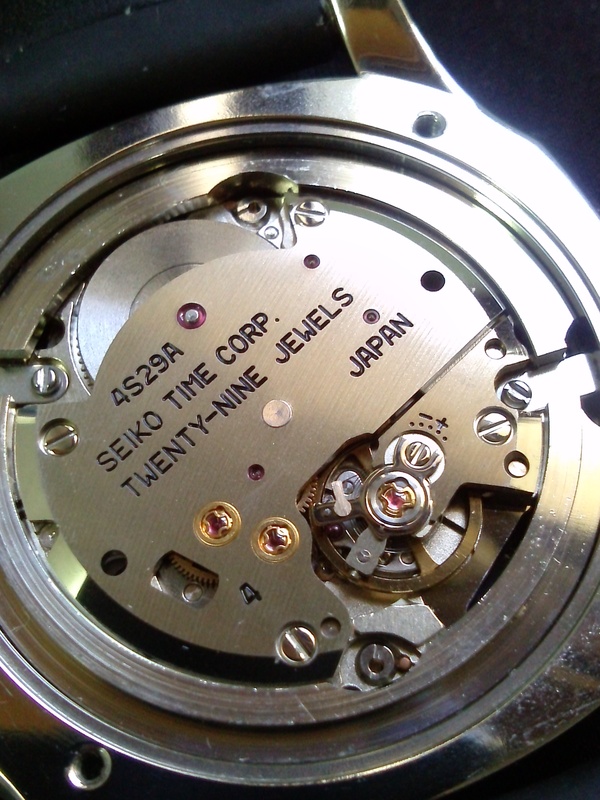 This is the second most complicated 4S movement (actually Seiko movement), with a total of 6 hands! The power reserve has also been upped to 50 hours while retaining the beat rate at 8bps. Similar to the above mentioned, the Credor-only 4S77 accuracy is now upped to +15/-10 sec a day. 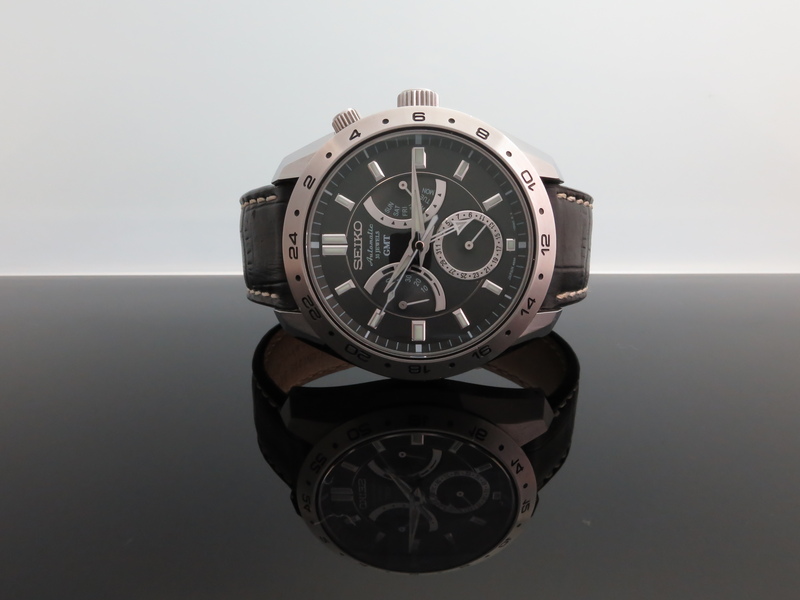 It also has a true GMT hand which is independently adjustable from the hour hand. 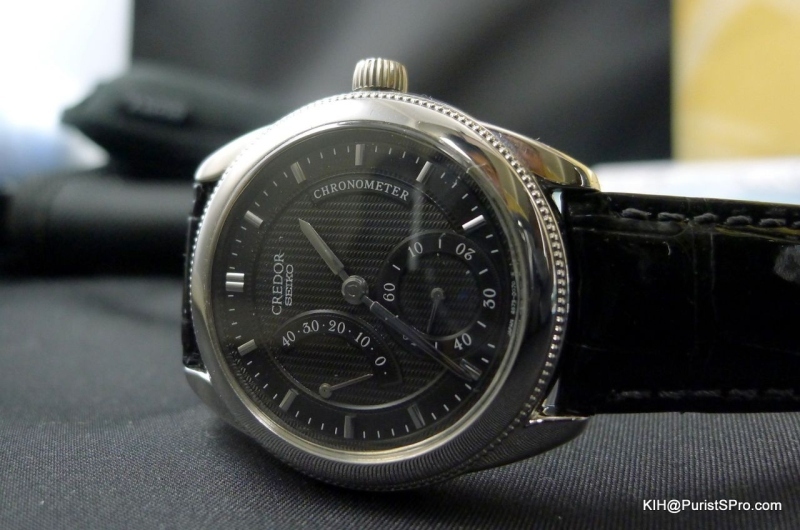 The defining 4S77 watch for me is the rare limited edition Credor Phoenix GCBG987. The defining 4S27 watch to me is the Brightz SAGN007. This is the last variant of the 4S movement and also the last to be discontinued in 2013. This comes with 7 hands and is by far the most complicated 4S (and probably Seiko) movement made. 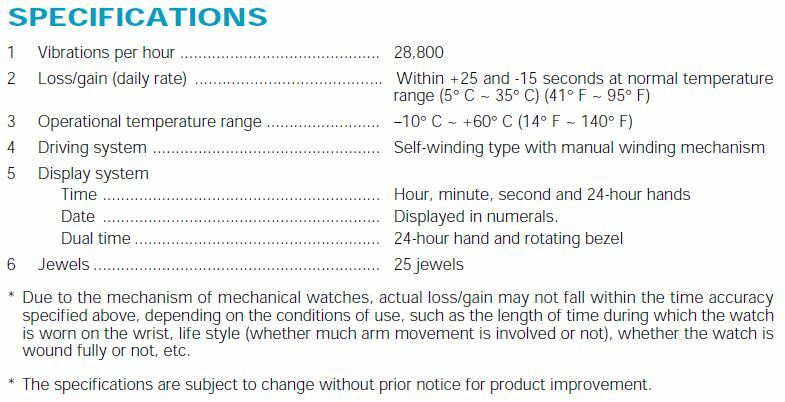 Both movement now have a power reserve of 50 hours and both movements are upped to +15/-10 sec a day, unlike the earlier 2 pairings, where only the Credor-only movements have the better accuracy specifications. An excellent write up can be found here. An excellent example of the 4S76 can be found in the Credor Node GCBT993. 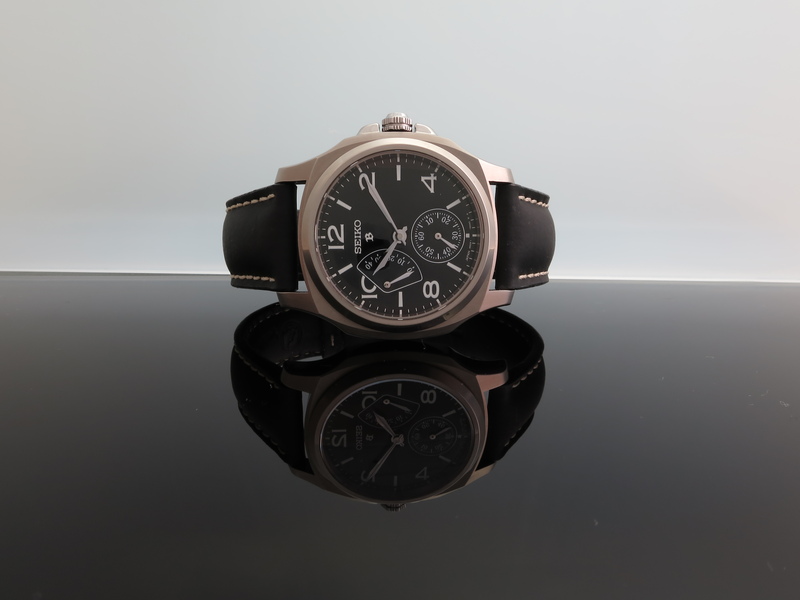 For the 4S36, as it is only found in 1 series of watches, it Is the defining model by default. Here’s my example. 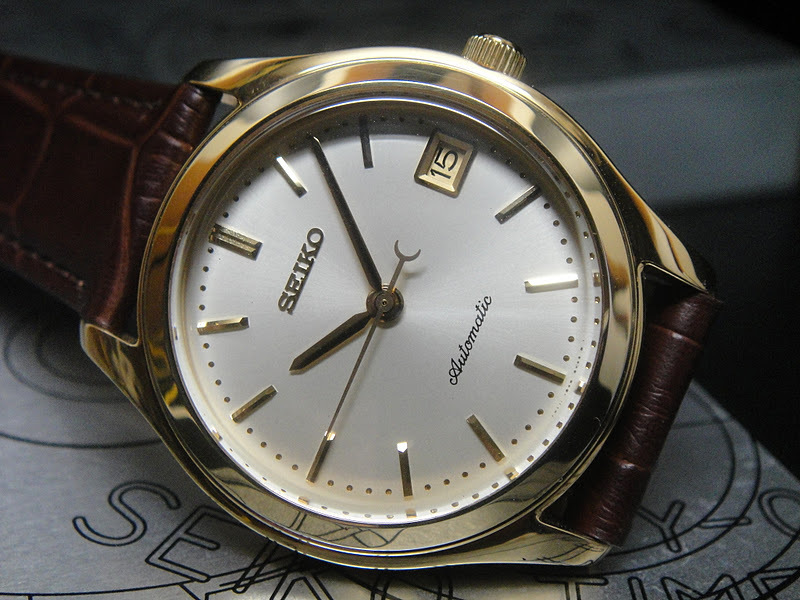 In addition to its historical roots as the Seiko Cal 52, the 4S family was probably the movement with the most variants and spawned many great models as referenced. 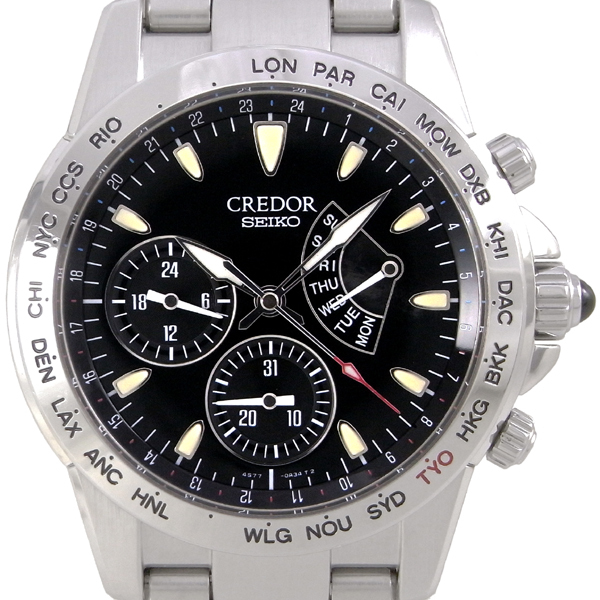 Its appeal lies in its variety and reach across both the accessible Seiko models, as well as the Credor range. There will likely never be another movement by Seiko that looks to its past, and yet forward thinking in its design of complications. You’re doing hell of a job in here. Very interesting knowledge about Phoenix Credors/historical reissues, hard to find in other places. Thanks for the reading. Thanks for your kind comments! Comments like yours keep me motivated to keep going…. great job with the write-ups!